Azure is a friendly, accessible album of original music from the Stephen McQuarry Trio. It swings, it rocks and it has some playing that’s simply beautiful music. The rhythmic and samba-tinged track, “Azure,” is an apt title. You can feel the blues, but the feel isn’t heavy. Percussion and piano work together, back and forth, to sustain a mood with lots of tonal and harmonic colors. A little more in the direction of organ trio funk, there’s “Blues for Jack,” with stops and other classic punctuation to get you moving. The performance drops into a swinging middle section as the trio hits cruising altitude, then takes us out with a classic bookend of the theme. On “Lydia,” McQuarry steps over to electric piano and Ted Burik to electric bass while percussionist Greg German sets up a swinging triplet-feel that provides the perfect counterpoint. 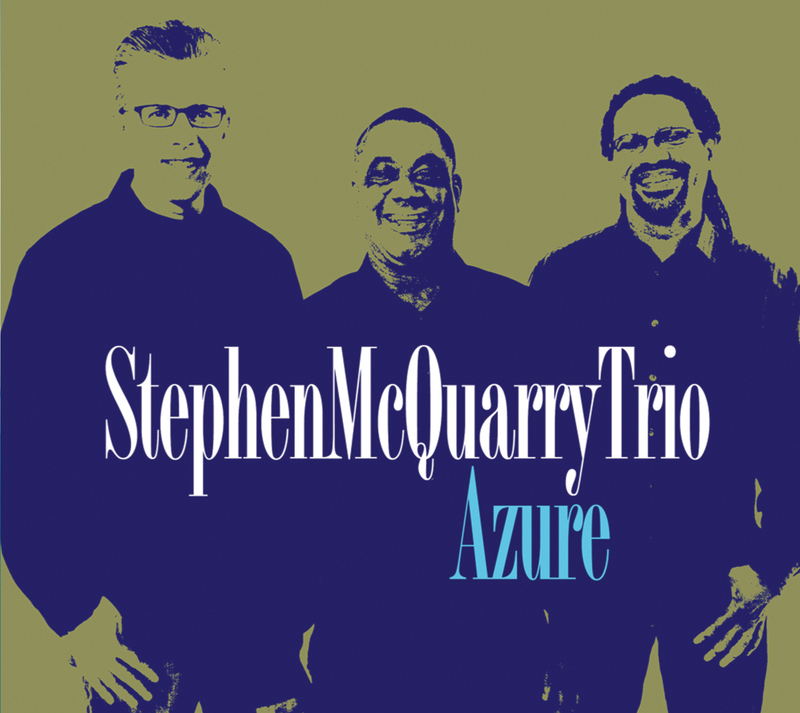 Composer-performers often say that their artistic ideal is to create new material that “sounds like it’s always been there.” The Stephen McQuarry Trio hit that target in the center with Azure. Recorded on 2" analog tape and mixed through analog console to DSD64.